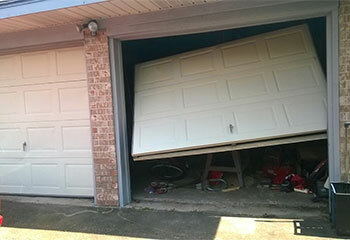 Rely on our experienced company to provide garage door repair and replacement service of top quality. Here we will tell you about our most recent projects to give you a clear idea of how we help people enjoy dependable and safe door performance. Our Solution: We removed the broken spring and replaced it with a new one. We then adjusted the tension and tested the door manually and automatically to make sure it was able to open effortlessly. 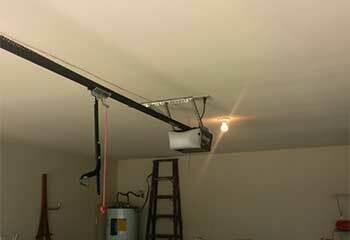 Customer Issue: Garage Door fell off Track. Our Solution: Our team arrived to find the door had come off its tracks. 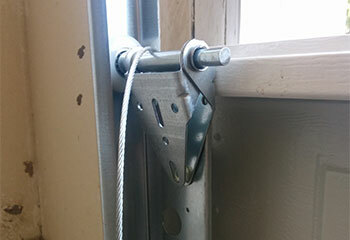 We realigned the door and made sure its rollers were in a good condition and weren't worn. We also checked the horizontal and vertical tracks and straightened some minor warping that had developed. Our Solution: We assessed the damage and concluded that his cables were unusable. We replaced them with brand new reinforced versions. 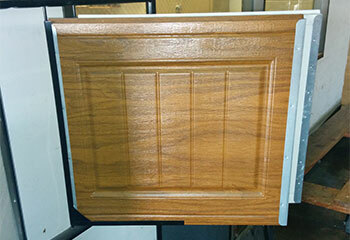 Our Solution: We fit a new wooden replacement panel instead of the broken one. Customer Issue: Noisy opener belt drive. Our Solution: The belt drive system on Alex’s Genie SilentMax 750 was making a bit of noise though a point of increasing friction. 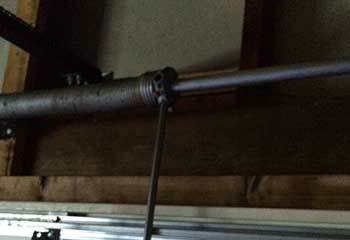 I managed to fix the issue with an adjustment without having to change any parts.